India's quest for an all-electric future in mobility by 2030 has thrown up an unlikely hero in Saurabh Kumar of EESL. An electric car charging station in Central Delhi set up a couple of months ago at Niti Aayog's office has not been used for weeks. That hardly anybody at the think tank uses an electric car is an obvious but not the only reason. Set up to showcase technology enhancements in car charging around the world, this fast charger is incompatible with the only three electric car models that are available in India. With Niti Aayog at the forefront of making policies for mass adoption of electric cars, the irony of this defunct car charging point is not lost on anybody. The fast changing dynamics of the global electric car industry - types of vehicles, battery costs, charging solutions - where India has little play but which it will have to traverse nevertheless, has resulted in different organisations suggesting different paths to achieve the objective of 100 per cent electric mobility by 2030. But of all the players, often working at cross-purposes, government-owned Energy Efficiency Services Ltd, or EESL, a joint venture of four power public sector units, has emerged an unlikely hero. The EESL model is based on a law of manufacturing that scale is inversely proportional to price. So, it forecasts aggregate demand for energy efficient products that are not becoming popular due to high cost and comes out with large global tenders. The size of the order and cut-throat competition ensure bids that make the product more affordable than before. This worked like a charm in LED bulbs. In the last three years, EESL has come up with several large tenders for LED bulbs. It has distributed 270 million units, leading to energy savings of over 37,000 KWh and reduction in electricity bills to the tune of `15,000 crore. More important, this has resulted in a steep fall in prices of LED bulbs across the world - from `310 in January 2014 to under `50 today. Now, it has applied the same strategy in electric vehicles. Between August and October last year, it came up with a tender for 10,000 electric cars with clear specifications - sedan, range of 130 km per charge and chargeable with both slow (six hours) and fast chargers (90 minutes). In fact, Saurabh Kumar, the Managing Director of EESL, used an e-Verito sedan for six months to see if the cars available in India fit the bill or not. Like in LEDs, it left the price to market forces. "We have been using these cars for some time as we thought about getting into this business for well over a year," he says. "We wanted to see if the claim of 100-130 km range is true or not. And whether it actually works in summers when the air-conditioner works non-stop. The cars performed very well. There has not been any maintenance issue; the maintenance required is also very low." While five players, Mahindra & Mahindra, Tata Motors, Hyundai, Renault and Nissan, showed interest in the first round of talks in August, only three bid eventually. 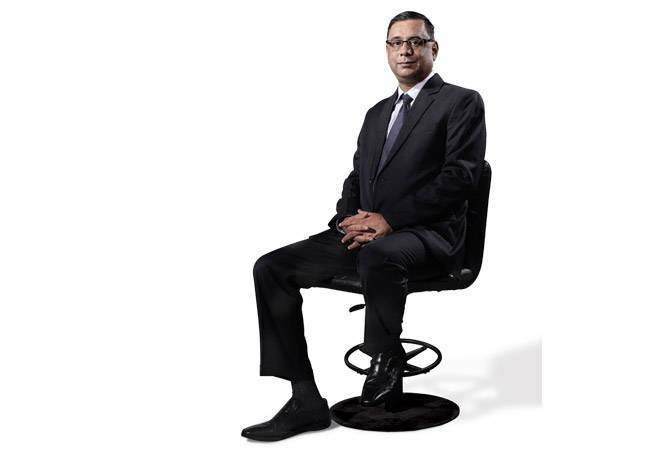 M&M, a first mover in electric cars in India - it acquired Chetan Maini's 24-year-old Reva car company in 2010 and already has two electric vehicle brands in the market - was expected to be the front runner. But Tata Motors pipped it with a bid of `11.2 lakh for e-Tigor; M&M bid `13.5 lakh for e-Verito. A Tigor with similar specifications but a petrol engine costs `5.84 lakh; in case of Verito, the price range is rs 8.5-8.9 lakg. The prices are inclusive of GST and five-year annual maintenance contract. This is the kind of reduction in prices EESL is looking at. In the first lot, out of 500 vehicles, Tata has supplied 350 and M&M 150. For the remaining 9,500, EESL plans to approach the two companies later this month to match the lowest bid. "Our procurement exercise has thrown up a price which is the lowest in the world for this category of vehicles," says Kumar. It also led to a spat between the two companies with M&M questioning Tata's pricing. This is reminiscent of the LED bulb story where a few manufacturers are still seething over the disruption caused by EESL. "It is difficult to comprehend the price quoted by the L1 bidder (Tata Motors) though we have been in the electric vehicle business for some time and know the cost structure and sub-systems well," Pawan Goenka, Managing Director, M&M, said after the tender was opened in October. "We will not make money on cars we supply to EESL. We will lose money on every car." 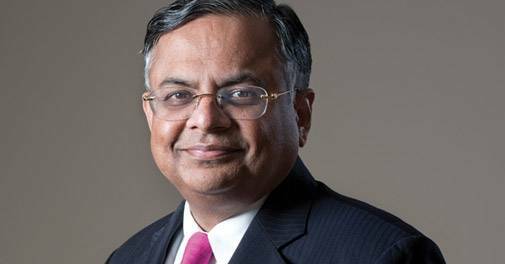 Tata Group Chairman N. Chandrasekaran countered M&M's claims while Tata Motors CEO Guenter Butschek said he would be happy to supply all the 10,000 vehicles if M&M wanted to opt out. "We will be making enough money from each of the units that we will sell to EESL. As of now, we will be selling 6,500-7,000 units, and if the other company opts out, we will lap up the rest of the order as well," he said. "All I can tell you is that we are capable of meeting all the order requirements." Despite the initial success, the electric vehicle foray is not likely to be a cakewalk for EESL. The company plans to lease out these vehicles to other government sector units for intra-city use. It has estimated that the government uses around 5,00,000 vehicles, of which 80 per cent, or 4,00,000, run for less than 80 km a day. These can be readily replaced with electric cars such as e-Tigor and e-Verito over the next three-four years. It has come up with a plan where the cost of owning and using a car (along with driver) has been kept at `40,000 per month - the amount spent today on a vehicle running on fossil fuel. However, one critical aspect it missed initially, and where it has now started to focus, is the infrastructure for charging. Without enough charging points, either at offices or premises of individuals, the plan will not take off. And this is proving to be a tough task. EESL floated a tender for 4,000 charging stations in September last year, around the same time as its tender for cars, but it had to be scrapped due to lack of clarity on specifications and the criteria for testing the chargers. Then, it invited a snap bid for 300 charging stations in late October, which also had to be cancelled. After that, another tender for setting up 250 charging stations in Delhi-NCR was floated in November; it was awarded to Exicom Power Solutions and EVI Technologies. This has led to a delay in delivery of the cars. "We are aggregating demand and have not deployed the vehicles so far. It is important that we lay out the charging infrastructure. The work is 60-70 per cent complete. 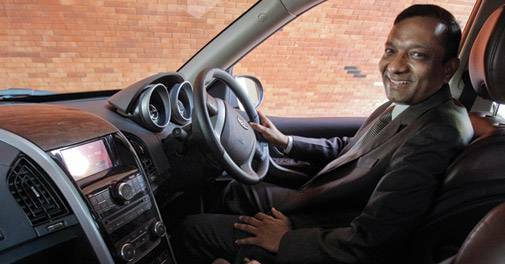 The moment we cover the need for overall charging infrastructure, we will start delivering the cars," says Kumar. "Charging infrastructure and vehicle specifications have to align. Else, it will not work. We have used the department of heavy industry specifications. Whichever specifications are finalised, something compatible with the battery and the charger, is what we will use. As and when they change, we will also align ourselves." While he is confident that these issues will be sorted out, the risk of something going awry in this ambitious plan is huge. Unlike LED bulbs, efficient fans, tube lights, agricultural pumps and street lights, this is the most capital intensive project the company has undertaken so far. The first lot of 10,000 units itself will cost the company `1,200 crore. This is equivalent of EESL's revenue in 2016/17. With past successes and bankers eager to bankroll him, Kumar is confident the play will pay off in the long run. "In terms of cost and investment, it is the largest for us so far," he says. "We would like to see this expand as we see quick wins in this project, particularly in the government sector. Funding is not a challenge. We are already talking to a couple of multilateral banks - World Bank and ADB. The moment I deploy the car, I start getting returns. I recover my investment in seven years. These are government clients, so there is no risk of default. At any point of time, my capital requirement will not be large, as the moment I deploy the fleet, I start getting my money back." In other areas, the stars may align even more favourably. The cost of lithium ion batteries, which account for up to 50 per cent cost of an electric car, is expected to slide sharply as global demand grows. According to a Bank of America Merrill Lynch report, prices of batteries are expected to more than halve by 2030, even as their range doubles. While that itself will bring down the cost in subsequent tenders, the possibility of other companies like Maruti, Hyundai, Honda and Toyota joining the fray will heat up competition. All these factors may negate the need for a fiscal stimulus for adoption of electric cars. "There is a way forward, regardless of any fiscal subsidy or incentive. If the charging infrastructure is well laid out, there is no reason why we cannot have 100 per cent electric cars by 2030," says Kumar. "Our mandate is small. Our mission is just about half-a-million such cars. It will give a strong push to this market. Car manufacturers will expedite their plans and, most importantly, the charging infrastructure will be created. Driving an electric car in India today costs less than a third of what a petrol car costs. People will be willing to pay a higher capital cost if the running cost is low. But the fact is that there is no charging infrastructure in the country." And that is where Kumar sees a future for EESL. "Our future is not so much in hire-purchase but in charging infrastructure. These charging stations will be like the petrol pumps of today and bring revenues to anyone who owns them. That is why we are extremely interested." That should, for a change, worry not any private automobile player but domestic oil biggies like Indian Oil, Bharat Petroleum and Hindustan Petroleum. Kumar has his task cut out and EESL has a legitimate shot at rising and shining.